It’s very easy to forget that before Luis Suarez started breaking goalscoring records for Liverpool, he was regarded as a brilliant player who couldn’t finish. The Uruguayan bagged four Premier League goals in 2010/11 after being signed in January and 11 the following season. “Suarez is a fantastic player, but I don’t know if he is a natural goalscorer, somebody like a Michael Owen,” Gary McAllister told BBC Sport. Luis Suarez is a roaming, attacking number 10, not a goalscoring number 9. The following two seasons saw Suarez bag 61 goals and establish himself as one of the world’s best three or four players. At the start of 2012/13, Suarez was 25 and had been in England 18 months, scoring 15 Premier League goals in total. Firmino, also 25, has a very similar record, notching 21 times in 24 months. Could our Brazilian be about to add the one thing missing from his truly brilliant game: goals? He’s got all the ability, skill and composure to do so – and has just been given the no.9 to boot. 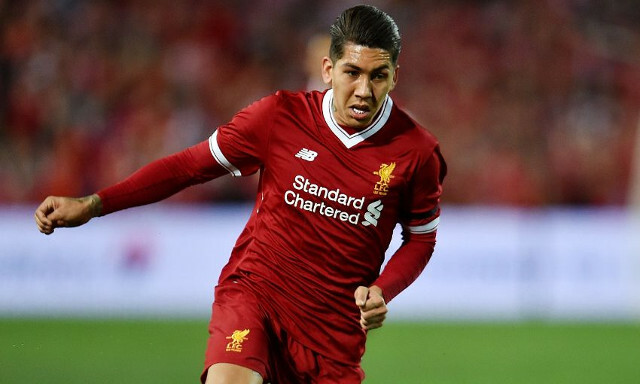 Firmino’s unselfish and creates chances for others, but so did Suarez – and having found his feet – our ex-striker began to find the back of the net at a rate of knots. But those who’ve watched him when fully fit over the past two seasons have seen that when on-song, he can be totally unplayable. A forward with his ability should be scoring more goals – that’s simple. And the fact Jurgen Klopp isn’t buying a striker this summer suggests that he thinks Bobby may now go down Suarez’s route. If Firmino is allowed to stay central all season, with players like Sadio Mane, Mo Salah and Coutinho running off him, he’s going to far exceed his 11 goals 2016/17 haul. We really hope some of the articles brandishing him, ‘Good, but not a goalscorer’ prove to be as inaccurate as the Suarez ones we highlighted before!